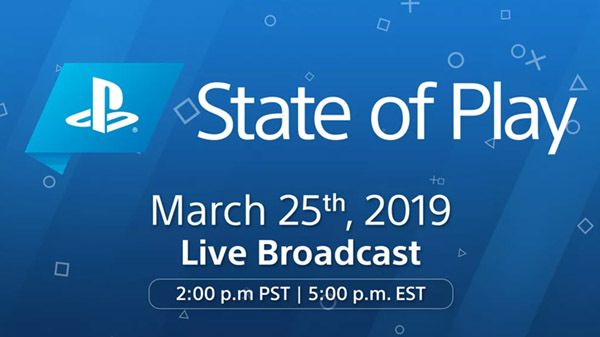 Sony Interactive Entertainment has announced “State of Play,” a new video showcase series featuring updates and announcements from the world of PlayStation. The first episode will premiere on March 25 at 2:00 p.m. PT / 5:00 p.m. ET and feature upcoming PlayStation 4 and PlayStation VR software, including new trailers, game announcements, and gameplay footage. You will be able to watch State of Play live on YouTube, Twitch, Facebook, and Twitter. A Japanese language live stream will also be available on YouTube.